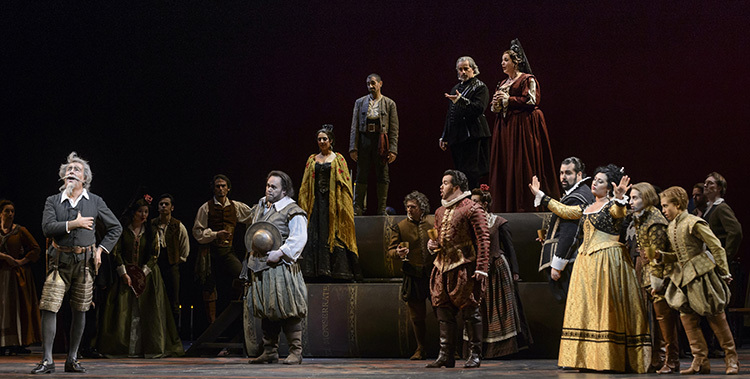 In Massenet's Don Quichotte, the fair and lovely Dulcinée is wooed by a variety of suitors other than the aging knight himself. The suitors comprise of two tenors, a mezzo-soprano and a soprano, the latter two being 'pants roles'. But did you know that almost all of the suitors are COC Ensemble Studio graduates? Meet the singers who bring Dulcinée's entourage to life! 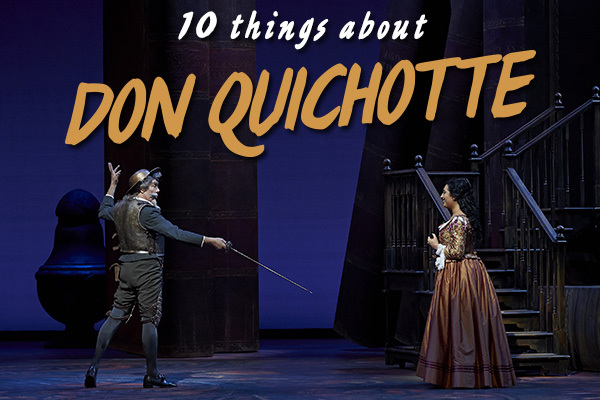 Our final opera of the 2013/2014 season is the COC premiere of Massenet's rare opera, Don Quichotte! Learn more about the production history, cast and crew below. Published in two parts, in 1605 and 1615, Miguel de Cervantes’ Don Quixote is arguably the first novel ever written. The plot deals with the adventures of an elderly Spanish gentleman who has been reading too many tales of medieval chivalry and declares himself a “knight errant.” He begins travelling throughout Spain with his sidekick, Sancho Panza, in order to right all wrongs and seek fame and honour. Don Quichotte is a "stylish feast for the senses"!